On March 19th, 2000, Vanessa Young collapsed on the floor at her home. Her family rushed her to the hospital and one day later Vanessa died from cardiac arrest. Her family could not understand - Vanessa was a healthy 15-year-old girl and she didn’t smoke, drink or consume drugs. But a detail was that Vanessa had been treated with cisapride, a prescription acid-reflux drug marketed as Prepulsid for her minor case of bulimia. Vanessa’s father investigated this prescription drug and he found something surprising. This drug was involved in 80 mortal cases in Canada and the US, and more than 340 cases of adverse reactions. But more serious is the fact that the Canada Health Agency, the agency responsible for drug safety, approval and monitoring, knew about the side effects of cisapride before the drug’s approval. In 1998, the same agency had sent 4 letters to doctors warning about the side effects of cisapride, and in 1998 the Food and Drug administration (FDA) in the US also warned about the same effects and announced the elimination of cisapride from the market in April 2000. After the FDA’s announcement, the Canadian Agency decided to follow the same steps. The question was, why did the Canadian agency delayed the cisapride take off from the market after FDA announcement if the agency knew about the side effects since the approval of the drug? The answer to this question is that in many countries, such as Canada, the system is designed to serve the pharmaceutical industry’s interests instead of the population’s safety. In the Canadian system, the companies pay for submitting their drugs for approval and the companies also report all the research related with the drugs. As a consequence there is an alliance between the pharmaceutical industries and the regulatory agency to increase the number of drugs available in the market, and user safety is subrogated to the economic benefits. Although the agency has developed an online database where the side effects of the drugs are being summarized, the software environment is obsolete and the database is probably not complete since the reporting of side effects is voluntary for experts. Even in proven dangerous drugs, the Agency don’t remove them from the market or reprint the label. In this situation, Vanessa’s father proposed an independent agency for monitoring the safety of prescription drugs with authority to take unsafe prescription drugs off of the market and report risk warnings. However, 11 years after Vanessa’s death, none of Vanessa’s father’s most important recommendations had been implemented, and it is estimated that 10,000 people die in Canada as consequence of dangerous prescription drugs, and 106,000 deaths are related to prescription drugs in the US - this is the fourth-leading cause of death. But this is a very important market worth billions of dollars per year. Fortunately, this is changing as more and more people are concerned about this situation and more literature is available. Here we can reference the book Bad Pharma: How Drugs Companies Mislead Doctors and Harm Patients written by doctor Ben Goldcare, where he explains how pharmaceutical companies suppress the negative results of the clinical trials to increase their benefits in a more than $800 billion market. Another issue is that deaths related to prescription drugs are often found to be from natural causes; therefore, the tracking of negative results of prescription drugs is very difficult. In addition, getting information about the prescription drugs is impossible because this information is protected as ‘commercial trade secrets’. 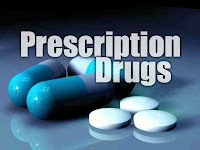 Although some progress has been made from the corresponding Health Agencies of many countries, it is necessary to improve the transparency and the efficacy of the bad results of the prescription drugs, as well as the control and monitoring of these substances and the clinical trials to avoid deaths.